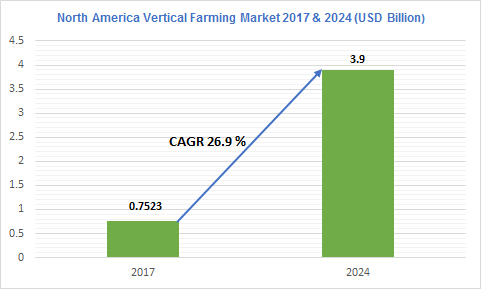 North America Vertical Farming Market size exceeded USD 752.3mn in 2018 and is expected to grow at 26.9 % CAGR from 2018 to 2024 as Increasing population level in the North American region will augment the industry growth. The benefits obtained from vertical farming over conventional agricultural practices will augment the industry growth in coming years. The major growth driver for the North America vertical farming market is the escalating population in the region which leads to widening gap between food demand and supply. Hence, it is has become necessary to increase the food cultivation rate in proportion to the rising population levels. Another driver of the North America vertical farming market is the limited availability of agricultural land in this region. As population increases further, land availability would keep decreasing. This type of cultivation technique is one of the best solutions to tackle these issues as the key benefit of this technique is possibility of crop production within limited space. Using this technique, the crop yield is not dependent on the climatic conditions or exterior environment. This reduction of dependency on the climate for food cultivation would also help to ensure continuous food supply even during calamities. The North America vertical farming market has been segregated based on type, application, end-user and region. The different types of products are equipment, aquatic species and fruits, vegetables & herbs. Vegetables & herbs acquire a significant share in the North America vertical farming market. From the view point of technology, the industry is segregated into three categories which includes aeroponics, hydroponics and aquaponics. Hydroponics is a technique in which plants are grown by using a water solvent containing required nutrients instead of soil. 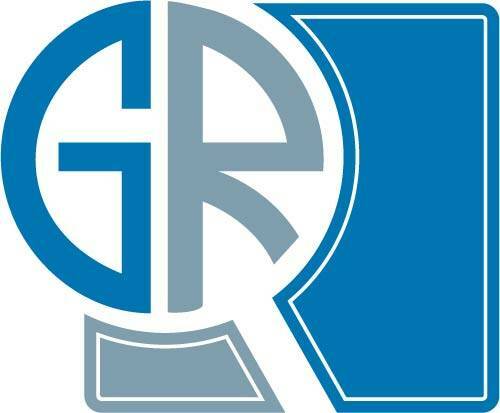 On the basis of application, the industry is separated into indoor and outdoor. Indoor application has a significant share in the North America vertical farming market. Some of the major players in the North America vertical farming market are American Hydroponics, Aerofarms, Koninklijke Philips N.V., Green Spirit Farms, General Hydroponics, Mirai Co.Ltd, Sky Green, and many more.